Les provinces unies des Bais bas, connues sous le nom de Hollande ... - DE FER, N.
Size : 8.9 x 13.0 inches. / 22.6 x 33.0 cm. 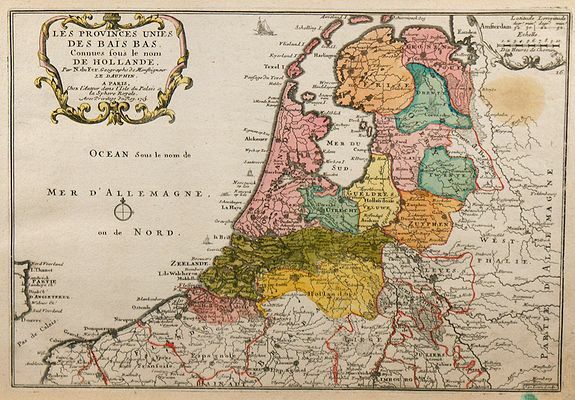 Description :Map of Netherlands, engraved by Van Loon, from De Fer's Atlas Curieux. Condition : A large brown spot on the upper right part of the engraving, and a green stain on the lower margin. Otherwise in very good condition.